The Pentair 460775 is engineered to withstand being used all day long, 365 days a year. With the ASME designation, it’s built with more durable components (bronze header) to increase its overall durability, making it more reliable as the years go by. Some homeowners decide to spend the extra money on an ASME model for their own peace of mind, but the truth is, you’re probably better off buying the standard version (Pentair 460736) if you’re a homeowner. 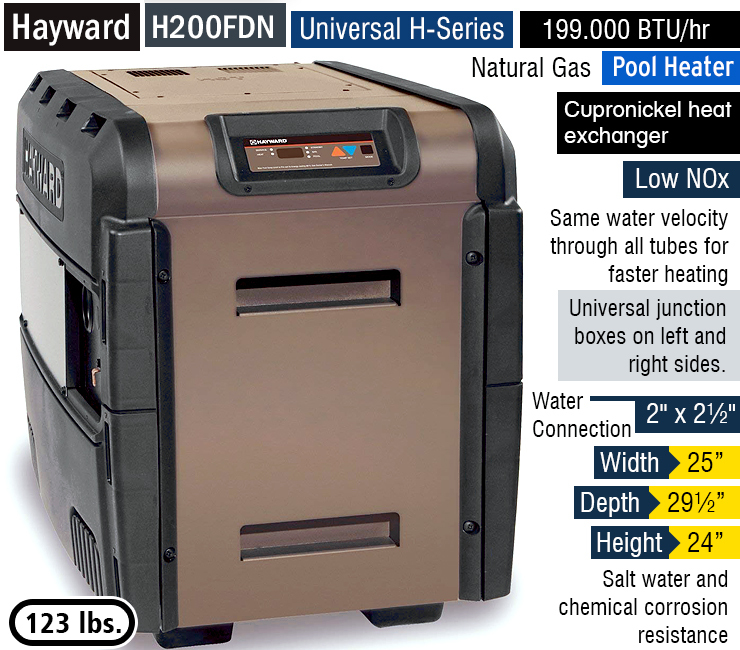 Hayward H200FDN Review | What’s the Best 200,000 BTU Pool Heater? What Size Pool Heater Do I Need? If you own a pool then it’s important that you purchase the right size because let’s be honest, pool heaters are not cheap and choosing the wrong size will definitely ruin your day. 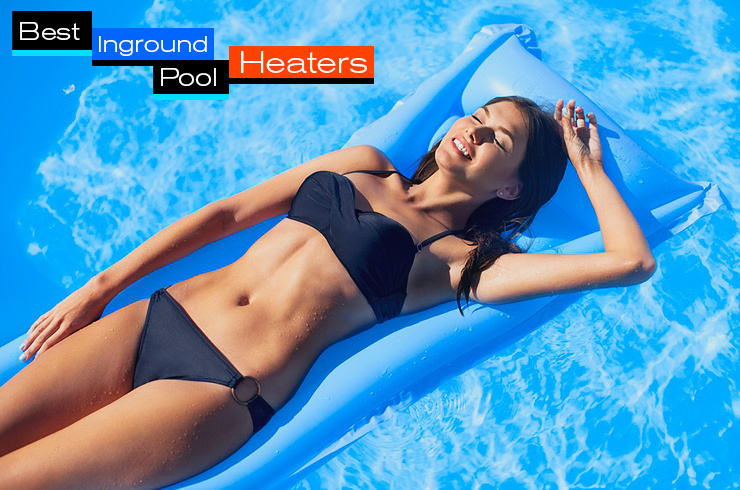 As with most things, education is the key and knowing all the facts will ensure you make the right decision when it comes to choose your pool heater. 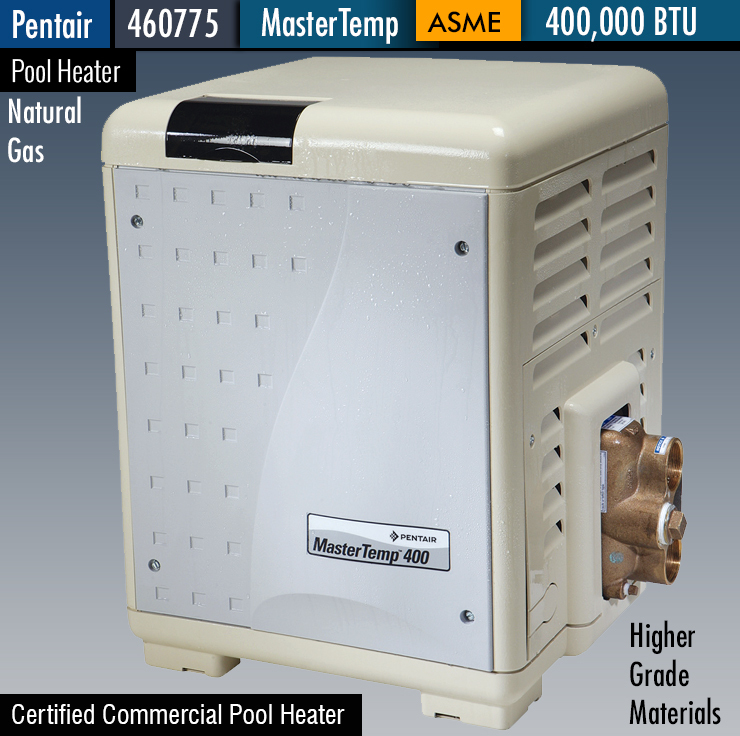 Read our recommendations for several of the Best 400,000 BTU Pool Heaters available. 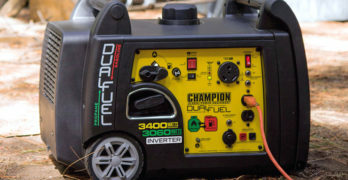 The A-iPower SUA12000E is a highly underrated gas Generator that provides a lot of power at a very reasonable price. If you’re smart then you’ll overlook the fact that it’s a lesser known brand and instead focus on the quality of the generator itself. In short, it’s a steal! 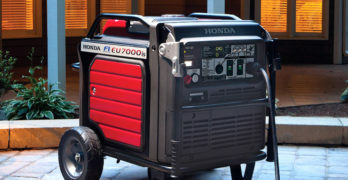 Generators can be expensive so it’s great to see an affordable generator with lots of power that homeowners can afford. We compare to another underrated generator — the Pulsar PG10000B16, just to give you another option to consider. The Hayward HP21404T is the most popular size (140,000 BTU) heat pump from the HeatPro series so we are featuring it front and center but this article will cover all of the models in the HeatPro series so you can decide which model is the one you need. Hayward HP50TA is one of the most popular heat pump for above ground pools up to 13,000 gallons in size. It has been designed with quality components meant to withstand the constant abuse of the elements and resists corrosion from pool chemicals. Buying a pool heater online is almost always cheaper than buying locally. We review 4 fantastic above ground pool heaters.